For today’s deals roundup, we have brought to you some interesting deals on IEM’s that are going on the Paytm Mall right now. The deal contains headphones from the brands like boAt, Philips, JBL and more. If you’re looking to replacing your old headphones, but have a limited budget then don’t worry because we’ve got you covered. 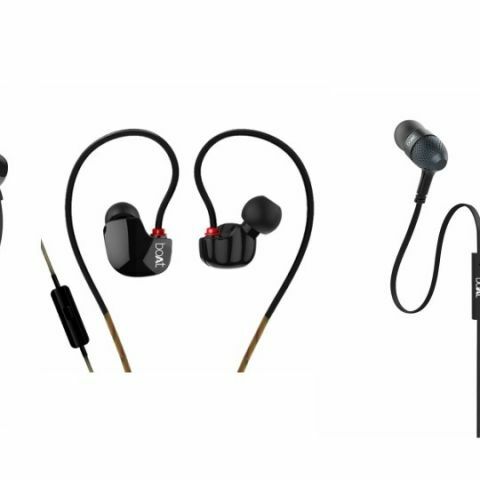 This list has some of the best in-ear headphones that are available on Paytm Mall with a considerable discount and cashback. The boAt BassHeads 225 in-ear headphone features a tangle-free flat cable that won’t let the earphone wire tangle up in knots. It comes with a noise-canceling microphone, which lets you make calls in a noisy environment trouble free. The headphone is equipped with a 9mm dynamic drivers and weighs around 80g. Click here to buy. The JBL T110 features a one-button in-line remote that lets you pick up calls easily. It also comes with a tangle-free flat cable that enables easy storage without worrying about wire knots. Click here to buy. The Philips SHE150 In-ear Headphone comes with an in-line microphone and remote that lets you pick up calls and adjust volume quickly. The headphone features a 3.5mm jack and weighs around 200g. Click here to buy. The boAt Nirvana Uno Sports is an in-ear wired headphone features a 7mm dynamic driver and has an impedance of 16 ohms. The headphone sports an HD microphone and comes with an in-line remote that lets you manage audio tracks and calls with one button. Click here to buy. The 1More Piston Fit in-ear headphone has a frequency range between 20Hz-20KHZ. The earphone features an in-line microphone and remote that allows you to manage tracks and calls via headset cord. It also comes with three sets of ear caps. So you can choose one that best fits your ears. Click here to buy.